b) Please follow the instruction below on steps to accept offer. You must sign and submit the physical Acceptance of Offer and Enrolment Form to Admission Office: Student Services by the due date indicated before you make your semester fee payment. By signing the forms signifies that you have agreed, read and understood the terms and conditions stated in the “Terms of Offer and Important Information” as well as the Refund Policy enclosed with the Letter of Offer. If you have received a Conditional Offer, you must fulfill the condition(s) stated in your offer prior to accepting your offer. You must provide the evidence that you have met all conditions as stated in your offer letter (academic transcripts, certificates etc). If you do not provide the evidence, you will not be eligible to proceed with your enrolment. Please refer to the ‘New Student Checklist’ indicated in your Enrolment Form (last page). If you need further assistance on your offer please contact our Admissions Office. The indicative semester fee must be paid before the due date as stated in the offer letter. It is advisable that you make payment before orientation as delaying paying your tuition fees may results in delay in enrolling you to you units, printing of you Student ID card and other services. If you had made your payment, you may collect the receipt from our Financial Services. Please keep the receipt as you are required to present it upon registration. Cash, Cheque or Bankdraft at any Maybank branch nationwide (at the teller counter or through the Cash Deposit machines and Cheque Deposit Machines). Important: You must write down your name and ID number on the bank-in slip for identification of payment. Cash, Local Cheque and Credit Card (Visa / MasterCard) at the Cashier’s Office. Important: You must fax your TT slip to the University at Fax: +60 85 443971 or send it via e-mail to Financial Services after the TT transaction is completed. Credit Card by completing and faxing to us the Credit Card Authorization Form. Refunds of course fees for New Students will be made according to the following guidelines. Original Documents or Original Certified True Copy of the Documents (E.g. Academic Transcripts, Completion/Award Certificate, SPM, STPM, ‘O’ Level, ‘A’ Level or other conditions as indicated on your Letter of Offer). 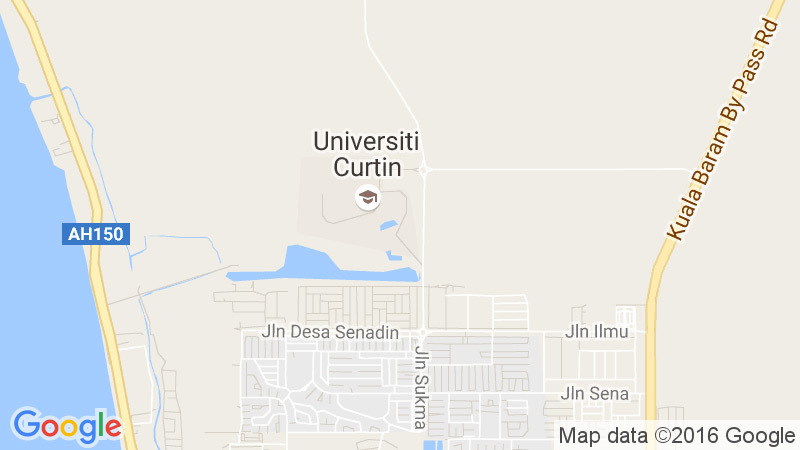 If you are an International and non-Sarawakian (Sabahan, Labuan, and West Malaysian) student, it is COMPULSORY for you to have a valid Student Pass while studying at Curtin University Malaysia. For International students, you may contact the International Division or refer to our website at Student Visa/ Pass for further information. For Non-Sarawakian, (Sabahan, Labuan & West Malaysian) student MUST and can apply for Student Pass upon registration during Orientation Week. You can also refer to Domestic Student Pass. If you are coming from other states (outside Miri), it is advisable to book an air ticket immediately after accepting the offer and make arrangements for your accommodation. To book campus accommodation, please refer to Housing Services. We provide airport reception services for new students arriving from other states at the Miri Airport, please request for the ARS at least 3 days before your flight. Our International Office will get back to you to confirm your ARS booking. Upon arrival at Miri airport, students who have requested for Airport Reception Services will be greeted by our representative and transported to their on-campus accommodation. Students who have not requested to be picked up by our representative may use a taxi to be transported to your accommodation.